I love these kind of stories, smart and tricksy long-con tales. This is clever and keeps you guessing (though I admit, the biggest trick was one I saw coming), with a protagonist you invest in and want to beat the odds. Piper is the best-characterised of everyone here (I didn't feel anyone else particulary distinguished themselves from the background) but that was fine with me, as it was all about the story and the con for me. And the poker. Who knew poker could be so entertaining on the page? I don't even know the rules and I ended up riveted. Piper lives in L.A. with her younger sister and a group of grifters and con artists, as part of a gang that live well thanks to their father-figure leader Max. Determined to give Sophie a better start than she had, she educates her and protects her while earning their living as a con artist. But it all comes crashing down when Sophie is kidnapped by a mafia boss and their only way of raising money to get her back involves cons and a high-stakes poke tournament. Pure entertainment, it had me along for the ride from the get-go. I could picture this on the screen, and found the con scenes fascinating (especially Piper's could-have-been-uncomfortable 'dates' with men) - nicely handled. The resolution is good, you aren't sure if it will all work out, and though I wasn't overly keen on the 'love' aspect, I went along with it. Though you are reading about criminals, technically, they are our heroes and you feel on a moral plane with them. They are decent kids who try to do a 'Robin Hood' and only con the rich and greedy. I've had this to read for ages and wish I'd got to it sooner. I'd definitely try others by the same author. A good choice for YA readers as well as adults. I was sent a copy of this by the author to read and review. My honest thoughts were sought, and are given above. If you enjoy stories of clever comeuppance with a side of dirty dealings, “Grift” is a fun read. It’s a new adult take on the con, with great characters. Protagonist Piper is a 17-year-old grifter in Las Vegas, teamed up with a modern-day Fagin’s crew. 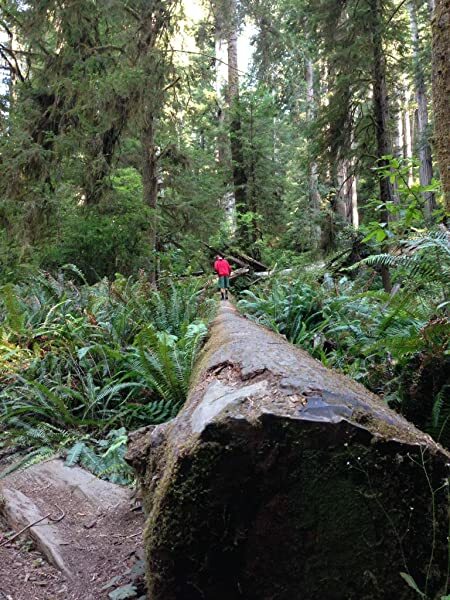 When the gang crosses a local big time player, Piper has to use her wits to save her sister. As a long-time fan of the TV show “Leverage,” I really enjoyed reading about the cons and schemes. Maybe they’re on the wrong side of the law, but it’s hard to feel any sympathy for their marks. After all, most of what they do involves exploiting the mark’s own worst intentions. Piper is fun to follow, and the contrast between her con artist self and her real, vulnerable self keeps her interesting. Her devotion to her sister and her naivete in the face of real romance is quite endearing. It’s hard not to root for her completely. The writing itself could use some judicious trimming and can be a bit uneven in spots, but once the plot really kicks in, it’s engaging and well paced. 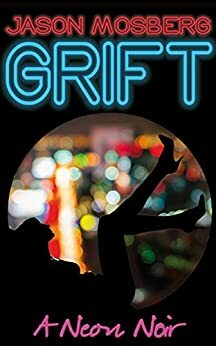 “Grift” is a good first effort from Jason Mosberg, with a solid and engaging plot and relateable characters. 5.0 out of 5 starsWhile I discovered this book in a odd way, at least odd for me; I thoroughly enjoyed it. I was sent a message by someone I do not know on Goodreads. The message was sort of like a chain letter (which I despise), except there was no "your going to have bad luck" if you don't send this on kind of crap. He said he picked me because I liked Dangerous Girls, supposedly. The whole thing was kind of shady, but I still checked the book out and I was intrigued by the synopsis. I looked it up on the Amazon and it was only 99 cents, so I read a sample and I was hooked. I think I was in the mood for something different and the backdrop of Las Vegas was just what I needed. Learning about the cons that they pull on unsuspecting tourists in "The City That Never Sleeps" was fascinating. And, the fact that they are all done by kids is really cool. Well written with only a few typos and misused words, this book captivated me and I would recommend this to anyone who finds themselves intrigued by the synopsis. 5.0 out of 5 starsI couldn't put Grift down! I bought this book because a friend said it was good and she's never steered me wrong. I was sucked in and couldn't put it down! I loved the characters (Piper and Jessie) and the suspense. I felt like I was in Vegas, and because I've been there a few times I could picture the different casinos. I totally blame this book for my tired Monday tomorrow. So good! 4.0 out of 5 starsIf Elmore Leonard had written a book about a teenage, female grifter, it might've read something like this. This is a nifty little read. And the author does a fine job of capturing the teen-age protagonist's voice and thoughts as she's forced to think-AND-act "older" than any teen should have to -- especially when it comes to saving her kid sister. The author's captured a bit of the essence of the late Elmore Leonard -- and that's NEVER bad in a contemporary crime novel. It's rare to find a Kindle book that is both A) free and B) excellent. This book fits the bill. From page one to the last page, I was hooked. I love the characters, the settings, the backstory, everything. I'll be on the lookout for more from this author.